There are many tools you can use to help you live the life of your dreams. Opening your mind to different techniques can help you make big changes in how you approach your future and reach your goals. 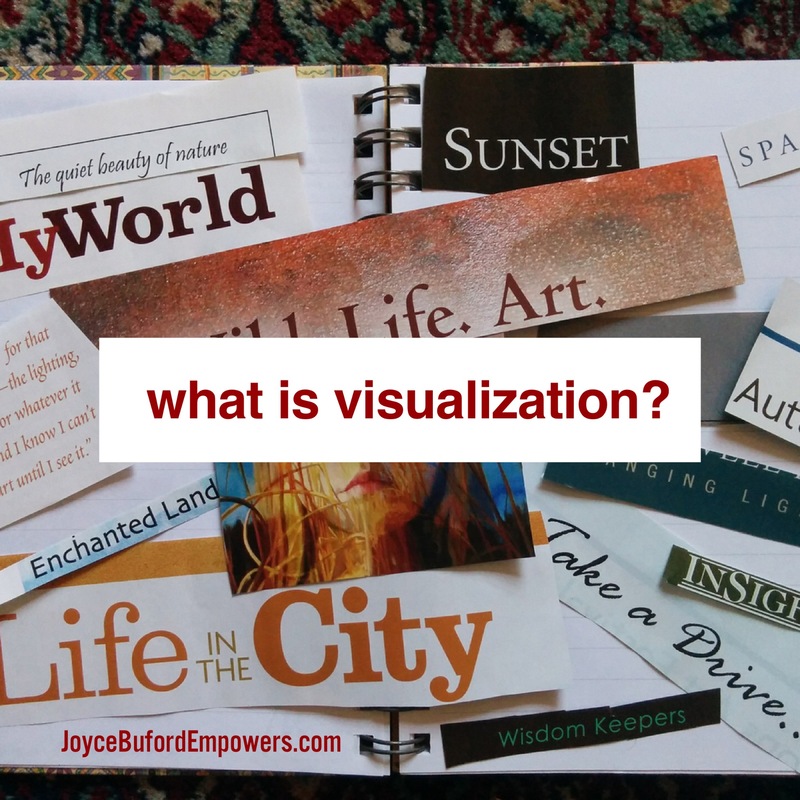 Many people use visualization to inspire and motivate them. 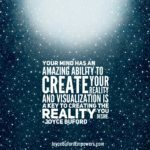 More than just thinking about what you want, visualization is an effective tool that harnesses the power of your subconscious mind to help you achieve your wildest dreams. 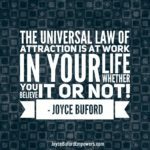 This universal law of attraction is at work in your life, whether you believe in it or not. By understanding how universal laws work, you can choose to work with them and manifest great changes in your world. Make sure you’re in a quiet environment without distractions. Close your eyes and breathe deeply. Breathe in slowly through your nose to a count of five, then exhale through your mouth to a count of five or more. As you breathe in, your diaphragm should expand, and as you exhale, it should flatten. *Take at least three to five breaths like this to slow your heart rate and calm your mind. Picture a clear mental image of what you desire. Focus on the details. Notice the colors, textures, sounds and smells within your vision. See yourself touching the things in your vision and tasting the air. *Let it play like a movie in your mind, with you as the director and leading star. * Picture yourself already doing or having the things you want to manifest. * See yourself accomplishing your goals with ease. Practice visualizing the thing you want at least two times each day. In order for visualization to work to its highest potential, you must be consistent with your new habit and use the practice every day. * If you start to experience negative thoughts during your day, stop them and replace them with your vision and the positive thoughts connected to it. Don’t rush through your visualization. Allow yourself enough time to experience the vision fully; about ten minutes or so is usually sufficient. 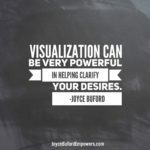 Visualization can be very powerful in helping clarify your desires. However, it’s important to remember that you may not receive the answers you’re seeking in the way you expect. Remain open minded to different manifestations of your desires. If you desire money, for example, don’t expect to win the lottery or receive a check in the mail. Instead, you may be offered a new job, a promotion, or some other opportunity to earn extra money. You may find your desires answered immediately or they may come to pass gradually. By keeping an open mind, you’re more likely to see opportunities that can bring your visualizations to fruition. Visualization can lead you to greater peace of mind, serenity and contentment. 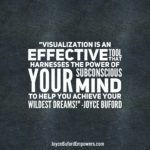 Begin using visualization techniques today to help you achieve your goals and desires, and reap the rewards! We’ll be talking more about this at my upcoming Vision Board Workshop on Saturday, November 11. Check out the details here.